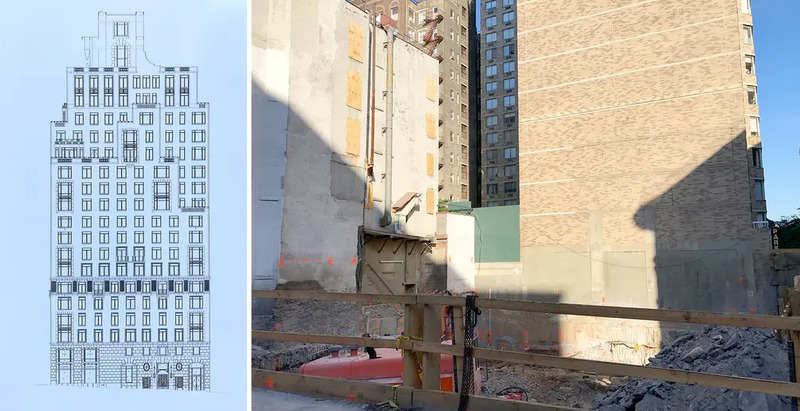 An 18-story, 31-unit condominium will soon rise at 250-256 West 81st Street in the Upper West Side, a site bought by Alchemy Properties and the Carlyle Group for $51M last year. Demolition for the former 3-story retail building was filed last year and completed a few months ago. The site is now undergoing construction, as per our recent photos. 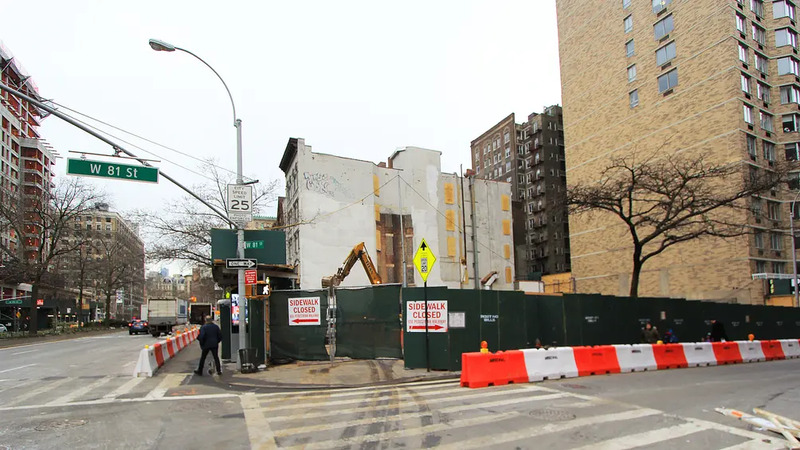 The lot allows 94,000 buildable floor area and the developers are erecting a mixed-use condominium building designed by Robert A.M. Stern Architects. Renderings of the project have yet to surface but a drawing did appear on the construction site fence. 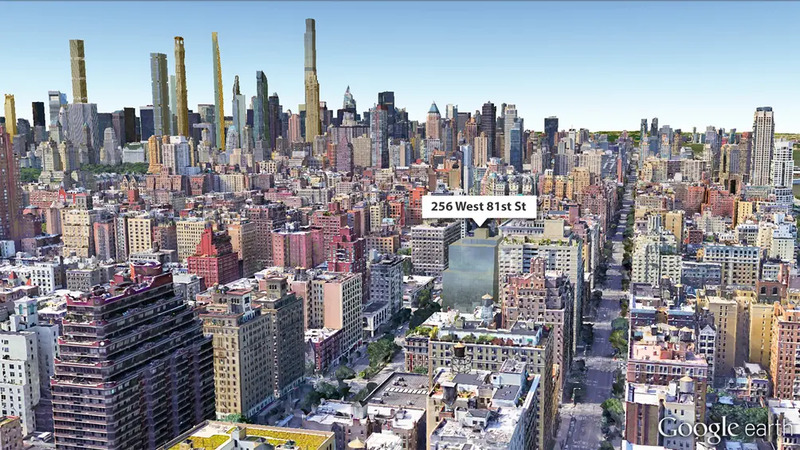 The depicted building is fitting for the UWS neighborhood and the elaborate classical top is reminiscent of 15 Central Park West and 10 Gracie Square. Documents show the project will host retail space on the first two levels and apartments will start on the third. A floor-through penthouse apartment will occupy the top floor. 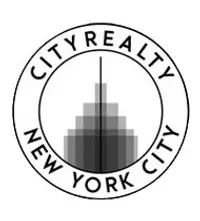 Residents will benefit from the typical array of high-end condo amenities such as a 24-hour attended lobby, fitness center, bike room, children's playroom, laundry room, and residential storage. Some unique amenities will include a music room, sports court, golf simulator, library/lounge, and a roof deck with a grill and outdoor kitchen. 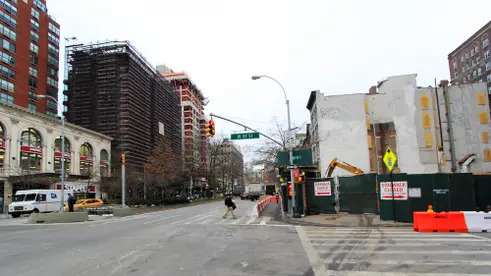 Nearby, Friedland Properties is developing 2230 Broadway, which has just recently topped off construction. 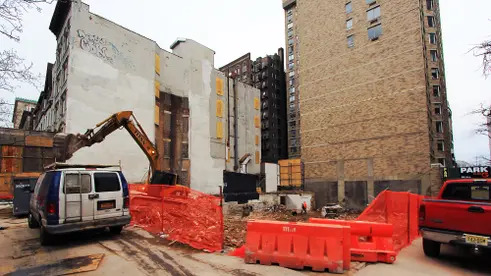 The Apthorp, the historic landmark building at 2211 Broadway is also close by and is converting several dozen more of its units into condos.